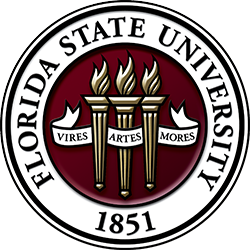 As Seminoles for life, FSU Alumni Association Members receive a special discount for professional development courses. Check out our course catalog and get started rebooting your career today! This course will empower you to master digital graphics with Adobe Illustrator and Photoshop while learning the principles of good visual design. An introduction to building websites including design principles, usability, web file management, responsive design, WordPress, & more. Gain hands-on experience in web application production, including: client-side markup and programming, server-side programming & more. From basic Excel skills & tools for everyday financial tasks to preparing and organizing data for analyses, the course reveals Excel’s potential as a powerful decision-making tool. This program focuses on practical education of military members, veterans, and their families for careers in the risk management and insurance industry. The design & integration of investment vehicles into a portfolio intended to meet client needs & objectives. Overview of the field of financial planning & the planning process, including ethical considerations & related issues. Life, annuities, health, disability, long-term care, homeowners, & auto as well as risk management. Tax planning as part of an individual’s financial goals emphasized. Tax calculation, accounting, & impact of business structures stressed. Designed to instruct the practitioner in retirement needs analysis, Social Security, Medicare, types of retirement plans and more. The FSU GRE® Test Prep course will give you the skills and confidence you need to ace the GRE. Sharpen your skills on actual GRE exam questions. FSU’s only official LSAT Prep Course. This program includes 30 hours of classroom instruction from experienced exam preparation teaching professionals. Join successful MBA students who have benefitted from our GMAT Prep Course. Increase your chance of admission into the MBA program of your choice!